My eldest is an anxious boy. He gets nervous about the smallest of things. 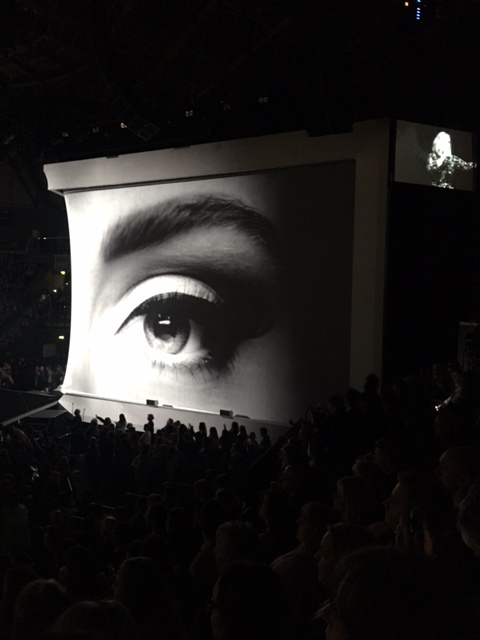 On Monday night we were lucky enough to see Adele open her word tour in Belfast. It was an amazing night and she spoke – in her own unedited style – about her nerves before the show. (Let’s say we all had intimate knowledge of her bowel movements that day!) 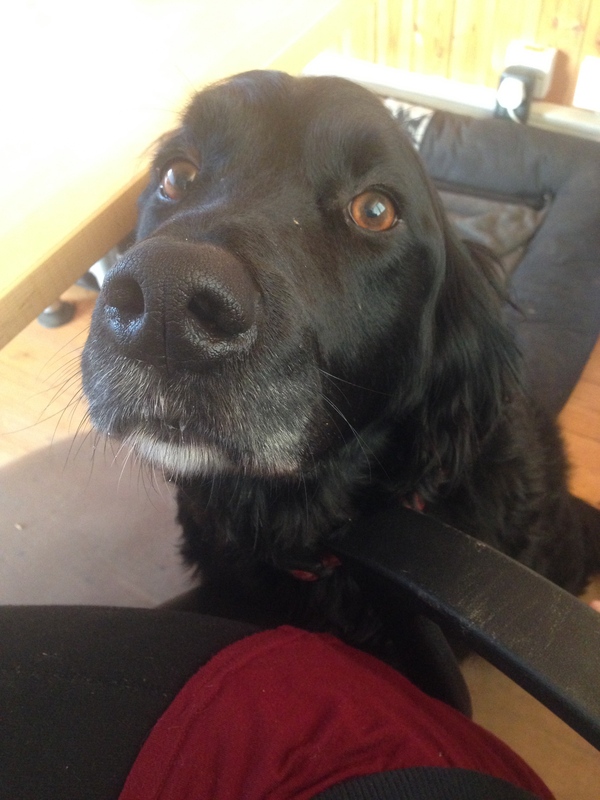 I try to teach him that nervousness and feeling fear is normal. They mean you care. They mean you’re doing something that matters, because a life without risk, is not a life worth living. Fear can be your friend, albeit a rowdy one that needs kept in check, it can make you grow beyond what you thought was ever possible. Show me a person who has never felt fear, and I will show you someone that has never lived. 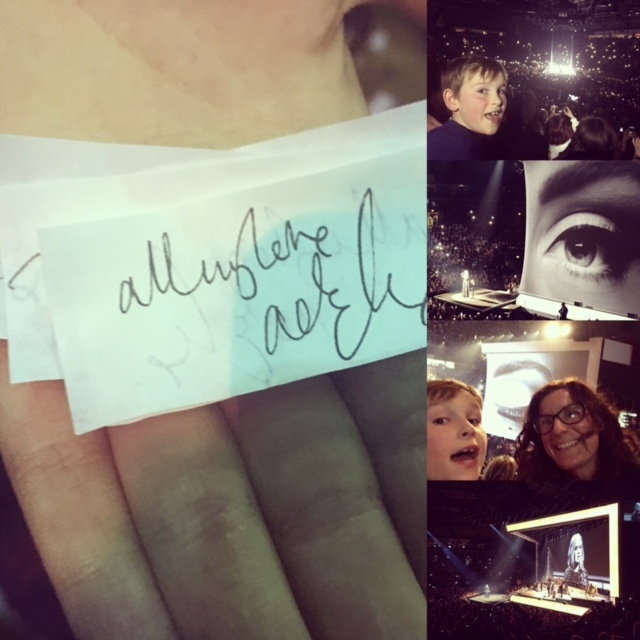 On Monday night Adele inadvertently taught him that it’s ok to feel nervous, that it’s ok to feel fear. After spending every spare hour for eight years writing two books consecutively, and a career break of almost three, I wonder if I’ll ever be able to tell him how scared I feel, right now. Because being finished is just the start. It’s time to send my manuscript to my readers and my agent. And for me, it really matters how this ends. Originally, I had planned to write about my own personal fears. Mine go something like this; What if I never get published? What if I’m a SAHM forever? What if all I ever do is cook the dinner, load / unload the dishwasher, work my way through an eternal mountain of washing, be chief homework monitor, spend my days saying hurry-up only to be ignored, did I mention the washing? And repeat. What if my university degree, what if all the effort, what if its all for nothing? What if my dreams don’t come true? What if I have to think of a plan B – when a plan B doesn’t really exist? (Thanks to the Oprah-Deepak 21 day self-belief meditation these questions torment me much less these days. I’m on day 15. If you missed my post you can find out more here.) But, after Paris it doesn’t feel appropriate to write about my hopes and dreams when so many have had their’s cruelly snatched away. A very different kind of fear has permeated western society since last Friday night. It’s palpable. It’s visceral. It’s close. It could be us next. (Today I got an email forwarded from my husband, ‘What should you do in an attack?’ complied by the BBC.) It’s crazy, but true. I cannot begin to imagine the heartache that so many Parisians now feel; the sludgy blackness that has crept over their lives in the past week that must make every hour feel painful, slow and heavy. The weight, the unbearable weight of grief that so many must now carry… it’s incomprehensible. And all for what? Do any of us – the average man / woman on the street understand what this is all about? I’ll hold my hand up and say I don’t. Oh, I hear the simplified, news chat; a complex myriad of names and groups distilled down to five minute news headlines. But these edited versions cannot be trusted. I’ve read articles and they shed a little more light, but I still can’t fully grasp the whys and wherefores. But one thing my gut instinctively tells me is that increased bombing is not the answer. The French people have a right to lash out in anger and vengeance – an eye for an eye – but where does this lead? Is it going to help solve the problem in the long run? I don’t think so, because meeting violence with more violence is not the answer. Isn’t that what we teach our children? When one of my boys belts the other one, I urge restraint – otherwise it ends up with a full on fight that leaves one or more in worse condition than when it began. These people need stopped – yes – but there must be a focus on a more human approach too. Coming from Northern Ireland I’ve experienced my fair share of what it’s like to live in a place of conflict. Until The Good Friday Peace Agreement in 1998 I grew up watching the pain and hurt etched on the faces of innocent people caught up in a bloody unnecessary conflict. ‘The Troubles’, as it was succinctly coined, is another difficult one to truly explain the whys and wherefores. Those of us on the outside of the conflict tried to get on with our daily lives, mostly it was reduced to an inconvenience: traffic jams caused by bomb scares, check-points, security alerts, the daily buzz of army helicopters hovering overhead. It was all part of the package. The voices of Gerry Adams and Martin McGuinness were not allowed to be broadcast – a strange kind of silent censorhip that I never understood. I grew up with their faces accompanied by strange dismembered voices. Now, McGuinness sits in Stormont as Deputy First Minister and runs our small corner of Ireland. At times life can be stranger than fiction. What stopped the bombing was not more bombs, but people. Lots of people, lots of talking, lots of negotiation. They were secret peacemakers who risked their own lives to keep communication channels open between the terrorists and the government, who worked amongst divided communities teaching understanding and tolerance. Super-humans with lion-sized hearts who never stopped hoping and believing in peace, who never gave up, who refused to hate. There was no glory for them, no Bono handshake, only the quiet inch-by-painful-inch towards peace. In the end it was the pen, not the sword that ended our ‘Troubles’. Northern Ireland’s problems are not over, there is still much hurt and pain, but we do have peace. Our problems were, for the most part, confined to our doorstep whereas the threat now is global. But we must not be held to ransom by the manic insanity displayed by a few. We must follow the example of the brave French people and not be cowed by fear. We must continue to live, we must find comfort in unity, we must stand-by those affected and give them our courage. I don’t know about you, but I’ll not be celebrating increased air strikes, I’ll be wishing for more super-human secret peacemakers. Hello! Welcome to my first blog. Is it called ‘blog’ or ‘blog post’? Who knows? Cause I don’t… anyway you’ll probably find there’s a lot I don’t know as you read on over these coming months. However, one thing I do know is that I want to write – correction – I have to write! Because, to be honest, there are plenty of other things I could do, rather than plough my way through one hundred thousand words trying to give life to characters that only exist in my head! But writing is how I make sense of my life and the world around me. It’s how I process ‘my stuff’. I might complain about having to do it, but believe me, I’m much worse when I don’t! You join me at the twilight stage of my second novel, ‘If I Could Be Me’. 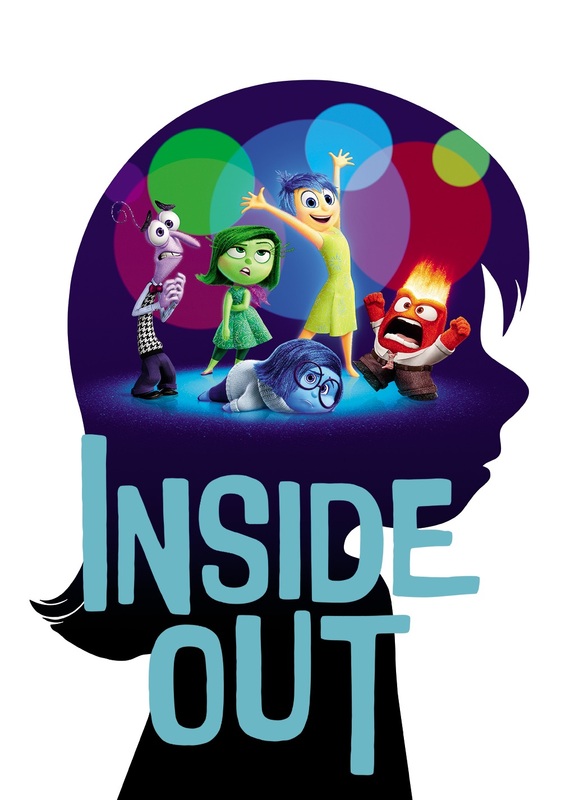 It’s about a granddaughter who discovers the secret life of her grandmother as a MI5 agent. Intrigued? I really hope so, cause you’ll be hearing much more about it here. It took me four years to write my first book and two and a half (give or take) for this one. So, I’ve been doing this as an open secret for nearly seven years and the time is nigh; it’s all or nothing. It’s time I felt the fear and did it anyway. It’s my last roll of the dice before regular employment beckons me away from spending huge chunks of my time inside my own head. This blog is where I’ll share my ‘book adventure’ and all the things, good and bad, that happen as I try (again) to get a book published. It will no doubt be peppered with personal musings too, as I try to figure out where I’m heading in my life. Anyway, some annoying person once said, ‘it’s all about the journey’ well, I hope you’ll join me on mine. I hope you like dogs cause this guy will feature a lot!